Google’s home page is very plain for a reason. When its founders started the site, they didn’t know how to use HTML…so they really had no idea how to create a website. The stripped down theme became a hit because the page loads very quickly and is used today. The name “Google” was accidental. The original founders actually wanted to use “Googol”, which is a mathematical term for 1 followed by 100 zeros, but they misspelled it. In an ironic twist, Google’s search really started to take off when automatic spell checking was added. The “Did You Mean…” suggestion is designed to be helpful yet non-insulting to people’s spelling skills. This feature made searching exponentially more accurate. Google employees are urged to use 20% of their time working on personal projects. Features such as Orkut and Google News, and others came out of these projects. Google employs the largest group of translators in the world. 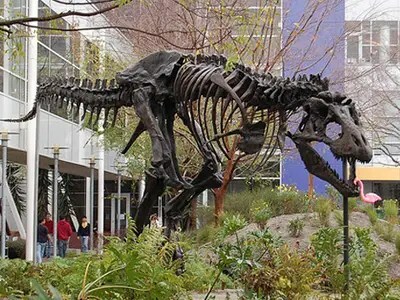 Outside of Google’s main campus is their pet dinosaur “Stan”. It’s an actual T-Rex that was found nearby. – Google has special language sites that transform your search results. Elmer Fudd, Klingon, Swedish Chef are a few favorites. – Google’s built in calculator gives some interesting results. Search for the loneliest number, you’ll get “1”, search for the “Answer to Life, the Universe, and Everything,” and you’ll get “42” (a Douglas Adams reference). Someone printed an extensive list here. -Google can also “psychically determine what you are searching for” with their MentalPlex portal. Google is famous for it’s April Fools Day pranks. This year they “invented” Google Translate for Animals. In the past, they’ve claimed they changed their name to Topeka, claimed to create an Internet network that runs through the sewer systems (Tisp- Toilet Internet Service Provider), and GMail Paper– a service that lets you get all of your email shipped to you on hard copy. One of the top search terms on Google? “Google”. Yes, a large percentage of our Internet population actually searches Google for Google. 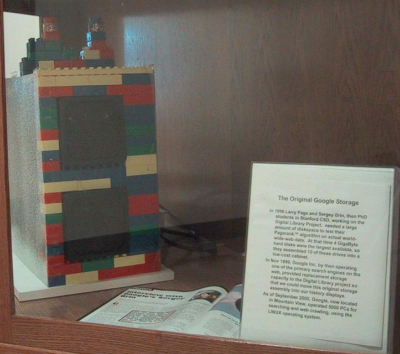 Google has had a lot to do with the way the Internet works today. Without them, we wouldn’t have many of the free services tools we’ve come to rely on, and it looks like they had a lot of fun getting us here. Happy 13th Google. Enjoy your teen years! A good article with things I did not know! Next Next post: Do You Need Antivirus Software Anymore?